I am feeling a bit awkward about last night and how I express happiness. This seems silly I know, but I’m wondering if maybe you can help me think through it or give me some insights from the outside of my own head. I’m feeling pretty darned good these last two weeks, even with little emotional ups and downs I feel like things are going well and everyone is growing and accepting the challenge of existence with grace and curiosity and gol darnit there is so much laughing and creating in my house right now. So last night when it was my turn I found myself struck by my lack of a real update besides how great everything was and then I felt self-conscious about things being good and then I started second guessing myself, like maybe I’m not really that happy and my feelings of contentment are somehow simply a heavy curtain I have pulled to hide a gaping pit of despair and fear. So after my extremely awkward meltdown and tsunami of doubt I went back to my journal and read everything I had written in the previous two weeks. Some of it was awful and painful, much of it was silly and magical, most of it was a combination of the two. I think now that perhaps this is happiness. I used to fear that happiness was a flat one dimensional emotion of wide eyed smiles and a life free of bone crushing hurt. It seemed something impossible. For me, now, happiness is an acceptance of the challenges and pains and struggles of life with the full and honest understanding that it is all worth living. There is beauty and adventure and powerful joy that shares the same space as challenge and pain and fear. I can feel them all and I can thrive. In closing, because I know you are waiting with bated breath to learn of the social fallout of my frantic expression of joy, my friend assured me that I didn’t seem manic or too loud or laughing too hard at all. I just seemed happy. 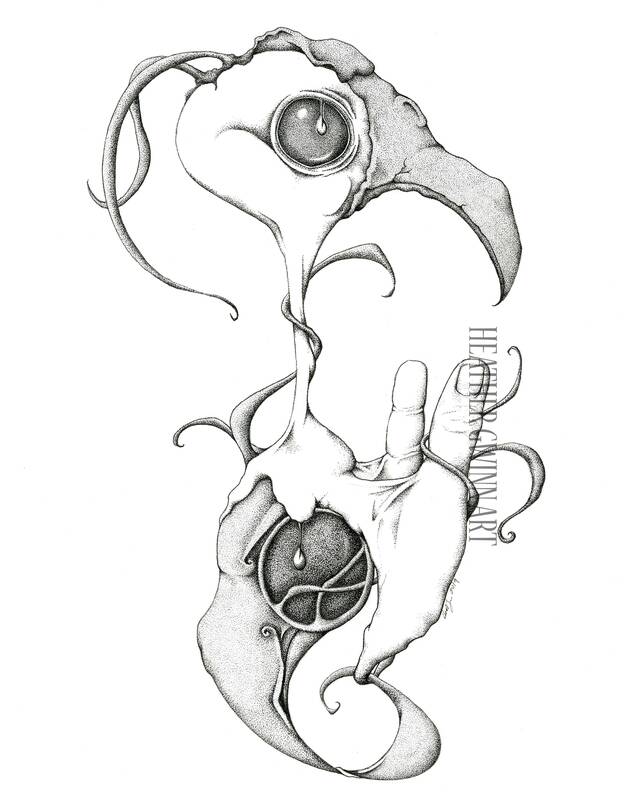 Featured Artwork, “All Thumbs” available here.